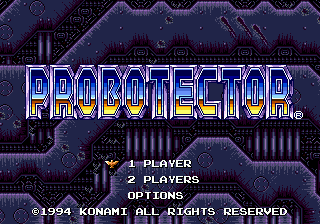 This is a patch for Probotector (E) for the Sega Mega Drive. 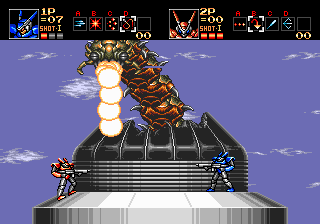 In the version of the game that was originally released in Japan (as Contra: The Hard Corps), it was possible to take three hits before dying. For unknown reasons, this functionality was removed when the game was released in Europe, making the game vastly more difficult in the process. This patch restores the ability to take three hits, complete with the life bar. Player 1 and Player 2 can now select the same character.